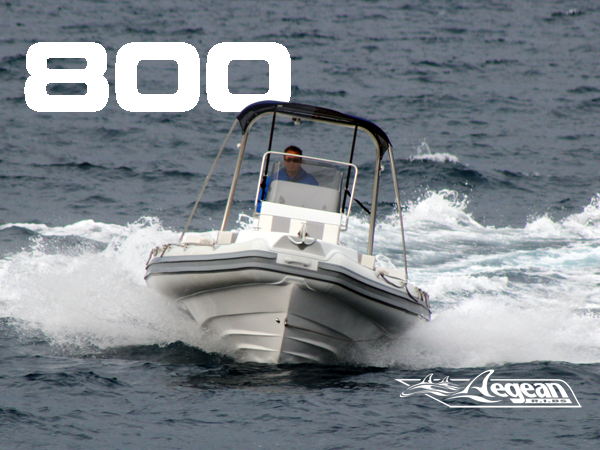 The Aegean 800 was designed for the pros. 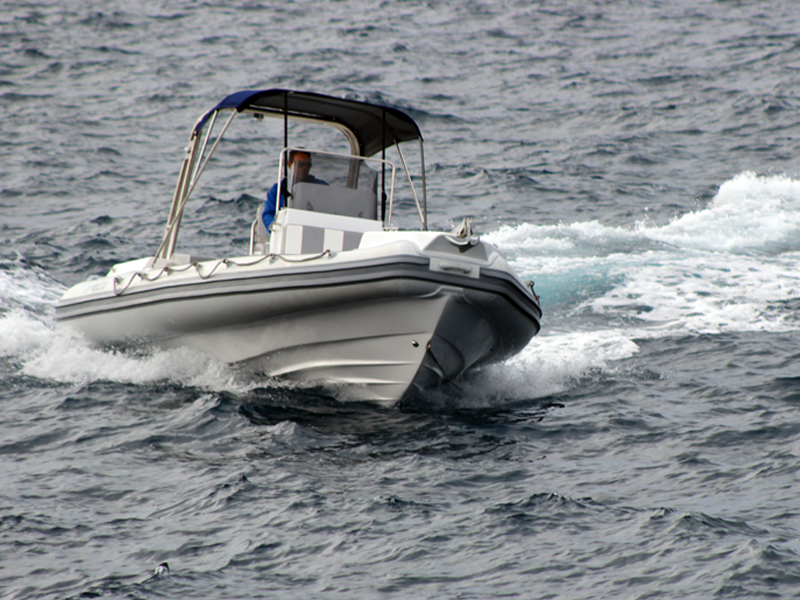 With an enormous deck and numerous customizing capabilities can be the perfect partner for a diving center or become a sea taxi or a search & rescue vessel or even the perfect excuse for a comfortable trip to the islands. 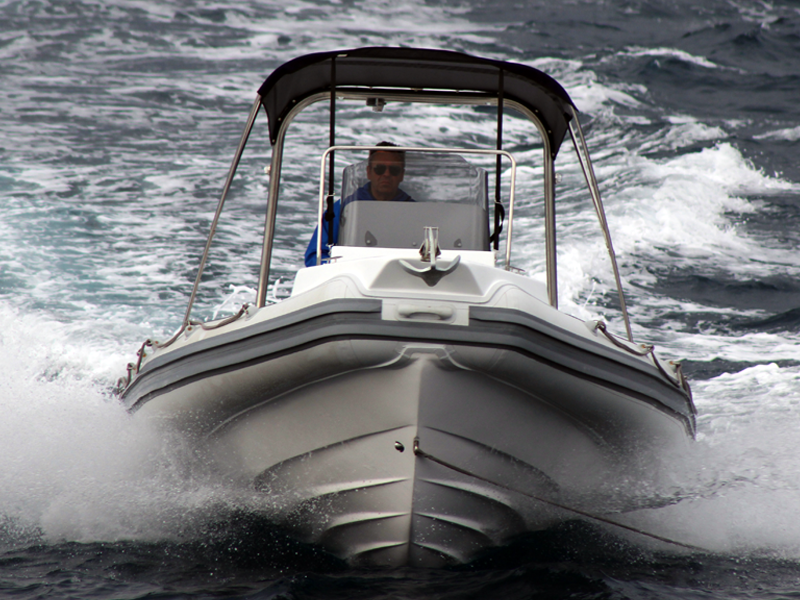 The large console has enough space for all electronics and gauges and can “hide” both driver and co-driver. The back seat can carry with safety four persons. 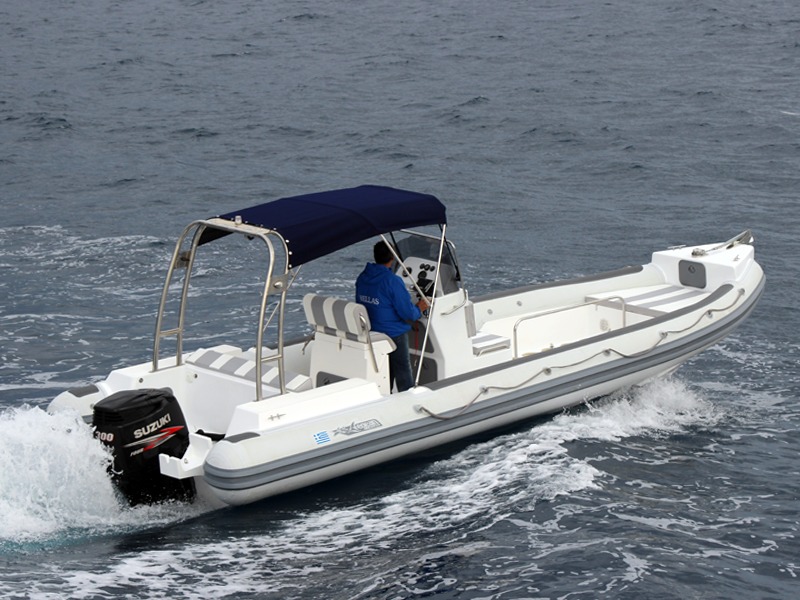 The storage compartments are simply endless and the hull is prepared for rough seas and heavy usage, with no compromise in speed or comfort. 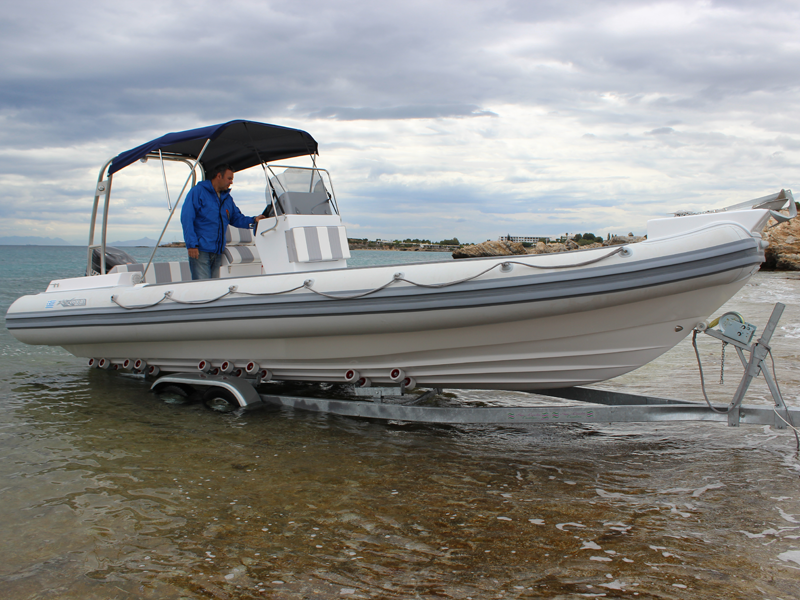 Ready for powerful engines and heavy loads, it’s the pro’s indisputable choice with 3 year warranty for the hull and air tubes.